If today is the start of something new in your life you have come to the right place! I am sharing this gluten free vegetable soup recipe especially for you! Not only is the soup gluten free, dairy free and paleo it’s amazingly easy and delicious! When I opened the pot as my soup was done, it smelled to me JUST like the chicken soup I remember as a kid. I am sure it is the broth, as this soup is vegetarian friendly, but on a cold day, this soup absolutely hit the spot. Warm and perfectly flavored with the addition of fresh herbs, this is one of those recipes to freeze for later, as you will want it often! I created this soup in my Instant Pot, however you can absolutely make this on the stove or even in a slow cooker. I prefer the Instant Pot, as I think the flavors of food shine more when they are cooked under pressure instead of low and slow in a crockpot. 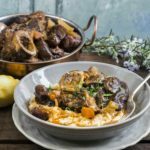 If you find slowcooker recipes a bit bland sometimes, that is why! I hope your family can all enjoy this gluten free vegetable soup as it is free of many allergens! Make some extra and freeze it in smaller portions for later! 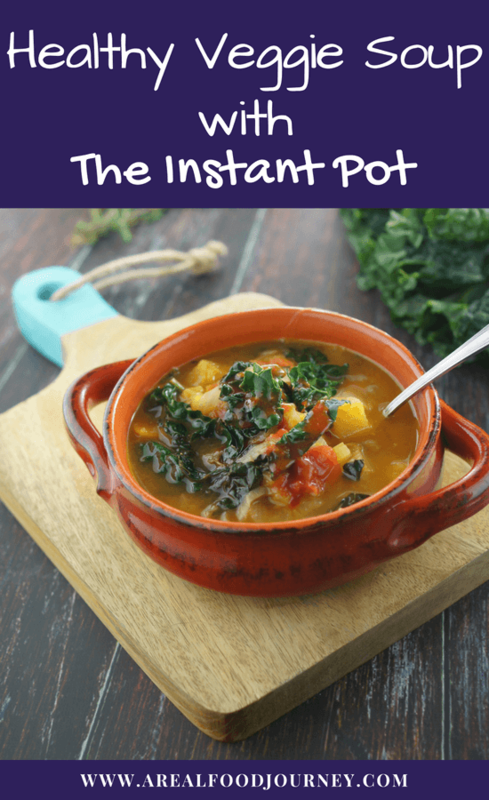 Instant Pot Gluten Free Vegetable Soup! A hearty and healthy soup made in the instant pot! Insanely quick to make! A flavorful soup that is easy to make, flavorful and gluten free! 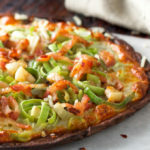 Perfect for the paleo diet and vegetarian diet as well! You won't miss chicken noodles after you try this soup! Turn your Instant Pot to saute and add the cooking fat and onions. Saute for 10 minutes. I keep an eye on my onions and stir occasionally to prevent burning, while I chop the carrots, celery and squash. Prepare the herbs by taking the leaves off the stems. To do this you hold the stems upside down and pinch the bottom of it between your thumb and finger. Pull the stem up and most of the leaves will remove themselves! After ten minutes turn your pot off. Add the carrots, celery, squash, herbs, salt, tomatoes, tomato paste, and vinegar. Give it a good stir. Set your pot to cook on manual at high pressure for 15 minutes. Remember to lock the lid and set the value on the lead to sealing! Once the pot has finished cooking you can let it de-pressure naturally or do a quick release. If you quick release be care as hot soup could come out your valve depending on how full the pot is. This did not happen to me, but better safe than sorry. You can just tap the valve a couple of times and see what happens. Once the lid is off add the chopped kale. The soup will be plenty hot and will cook the kale! I add the kale now to prevent it from becoming mush under pressure. If you make this on the stove instead, saute the onion of medium heat and then add all the other ingredients except the kale. Simmer until the squash is tender about 30-45 minutes. Add the kale and simmer 5 more minutes. Serve! We enjoy this soup with a drizzle of hot sauce over the top! YUM! 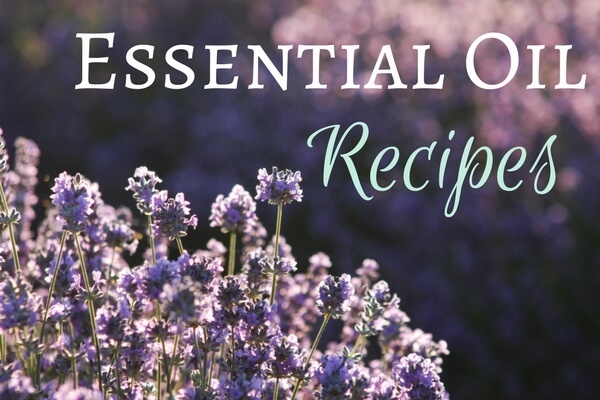 The total cooking time for pressure cooker recipes varies. This recipe took me about 15 minutes to prepare and it cooks at pressure for 15 minutes. 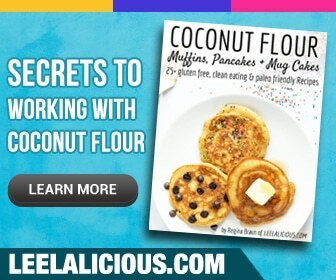 Can by made in the Instant Pot or on the stove! I hope you give this gluten free vegetable soup in the Instant Pot a try! It makes a killer winter dinner! P.S. 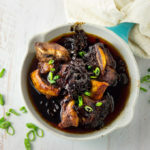 Looking for other Instant Pot Recipes? 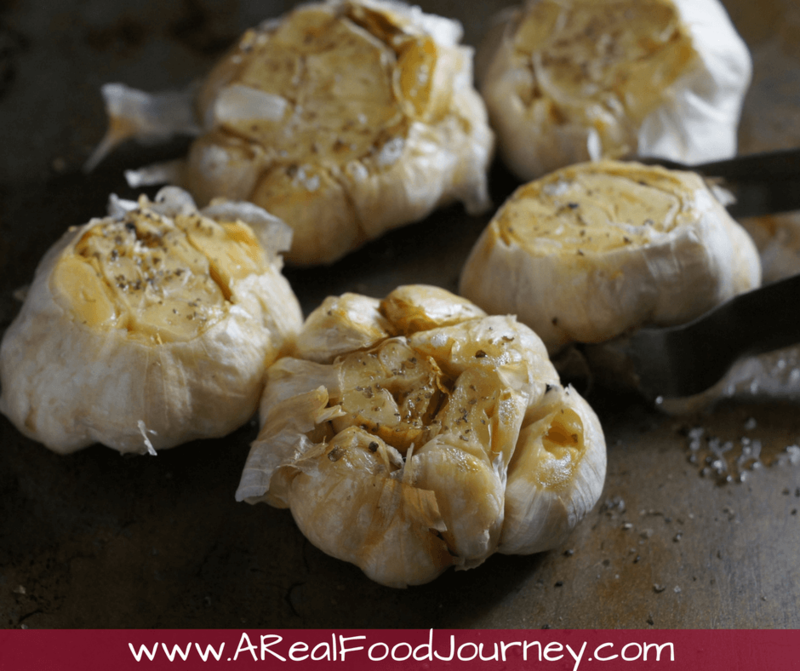 Try my instant pot roasted garlic, it makes a great spread and garlic helps keep those colds away! Wow, I am excited to try this soup in my Instant Pot! Love that thing! Did I miss something? ?should there be kale in the ingredients?? Where’s the chicken soup recipe??? I’ve liked everywhere. Sad. I’m so sorry I have no idea how it vanished! I’ve reposted it! When do you add the broth and water? I’m assuming with the carrots, etc? Thank you. Making for a friend who is ill.
Hi there. Looks great! Is that apple cider or apple cider vinegar? Thanks! I just updated the recipe, sorry about that! About one bunch or 4 cups chopped! Thanks for bringing this to my attention!